Inspired by perforated rally straps of the 1960’s, our genuine leather rally strap replaces the factory strap for our BP-003 series of watches (Prototipo Chronograph). These straps will fit any Autodromo watch with 20mm lugs, and will also look great on vintage watches with 20mm lug width. Black also comes in Extra Long. 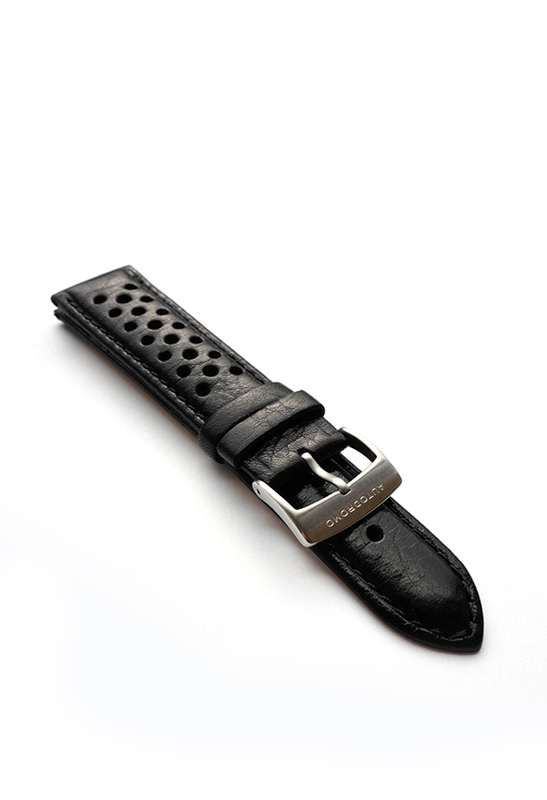 Each watch strap comes fitted with a stainless steel Autodromo signed buckle. Shipping is free via first class mail on this item.